Joel Haslam of CTV’s Regional Contact talks with me about my book Light Bulb Baking: A History of the Easy-Bake Oven. We discuss the appeal of nostalgia and the popularity of the Easy-Bake Oven. 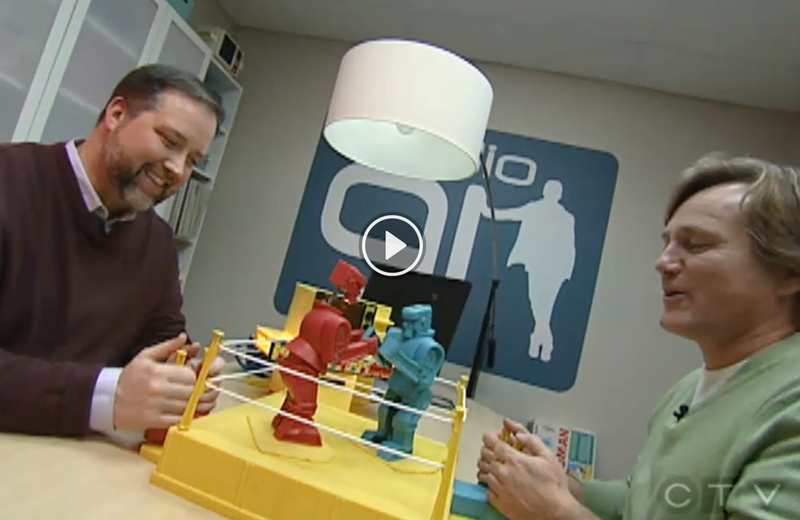 We also bake a cake in the toy oven and play a rousing game of Rock ‘Em Sock ‘Em Robots. View the segment on CTV.